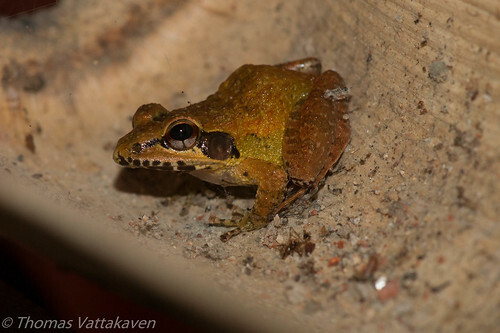 Featured here is the Small-handed bush frog (Indirana semipalmata) also known under the names Brown Leaping Frog, South Indian frog or Small-handed Leaping frog. 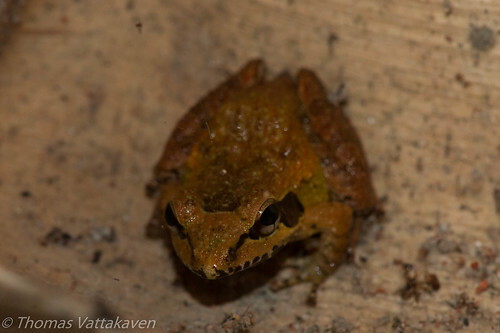 The distinctive features of this frog include its large tymphanum, granular warty flanks. The temples and the sides of the eyes are black. 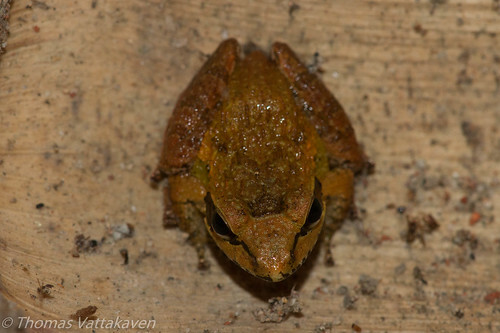 A dark band is also present between the eyes at the top of the head. The limbs also has dark stripes across, which can barely be distinguished in these images. The toes and finger tips are dialated into discs and this species gets its name from the half-webbed toes. It is generally a terrestrial species, occurring around vegetation near water bodies. It is however endemic to the Western Ghats and occurs at altitudes of between 200 and 1,100m above sea level. They lay eggs on wet rocks and trees and the tadpoles remain in such thin films of water and undergo metamorphosis without ever entering standing water. They are kept moist by water dripping from rain and rain. 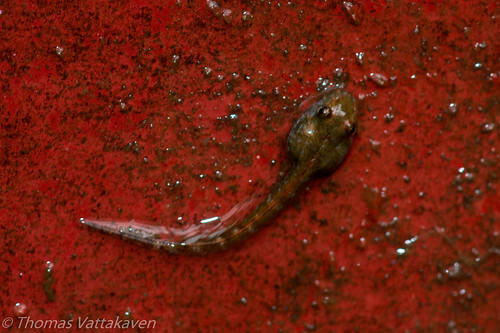 The tadpoles are known to have hooked beaks which allow them to move along hard surfaces. 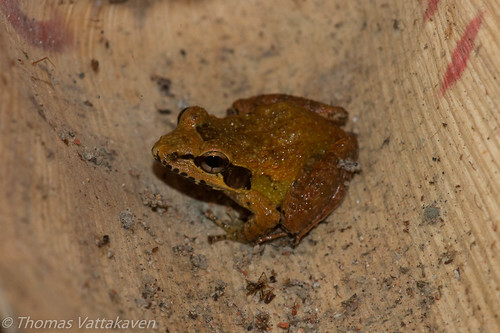 The tadpoles are thought to feed on bark material and on plankton growing on the bark. 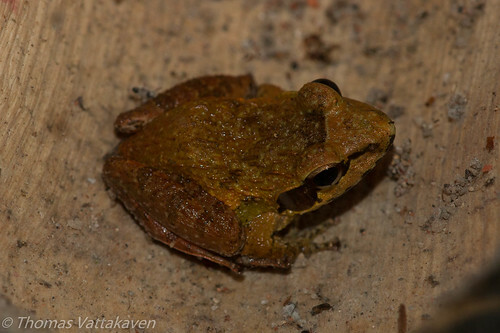 This frog is locally abundant and is listed to be of least concern by IUCN. Other Details: A singe individual seen sitting in an areca palm frond on the veranda. 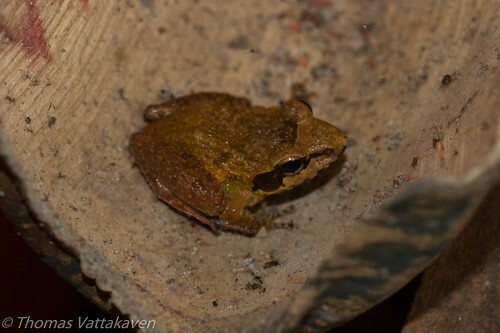 The tadpoles are seen on the walls of the same veranda, about a meter away from where the frog was.